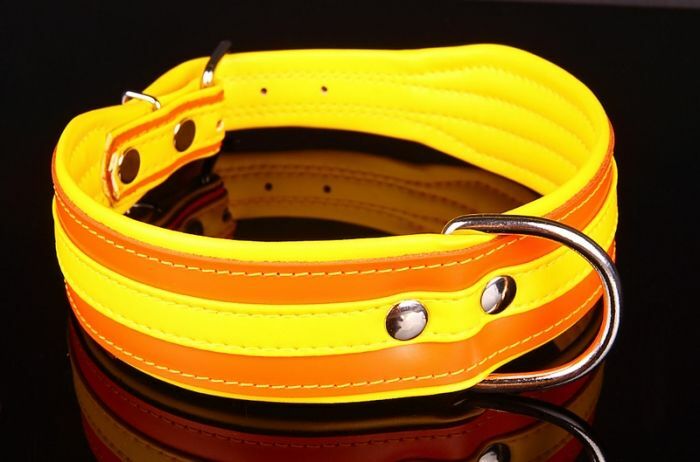 A colorful and cheerful orange leather collar with double-layer leather. Available in various sizes. 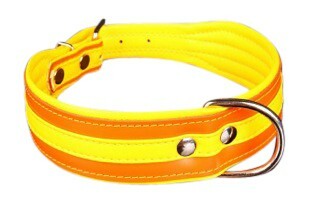 A contemporary, upbeat and striking collar! 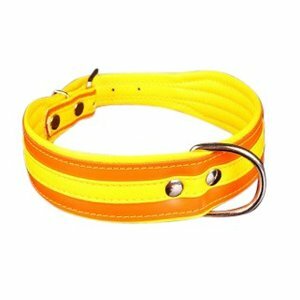 Your dog will love to wear this collar because the collar is made of soft double layered leather. 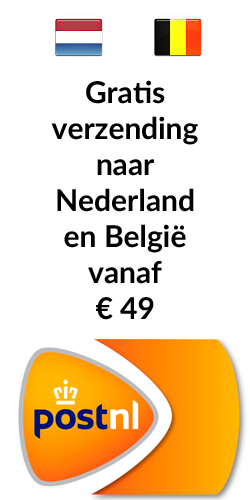 The bright color is really striking: orange / yellow. The sleek and modern design fits perfectly with the times.